7809 N Jensen Rd, Spokane, WA.| MLS# 201827725 | Cooper Realty Services (509) 599-1111 | Spokane WA Real Estate | Contact us to request more information about our Homes for Sale in the Spokane WA area. 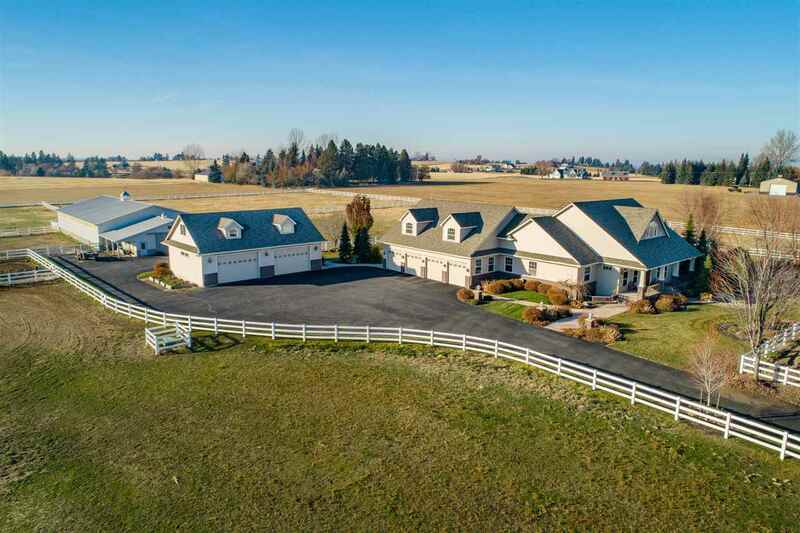 Amazing Horse Property-19.72 fenced/crossed-fenced acres. 55x100 indoor arena, Barn w/4 stalls, tac rm & Hay strge. House is a timeless classic design w/handmilled woodwk. Note hand bent arches in Lv. rm. Ovrsizd Kit. equipt w/3 DW, trash comp, 6 burn Wolf rng/oven, warm oven, & prep sink on the ovrsizd island w/a wine bar. Mstr Bd has steam showr, 7ft soak tub, dbl sinks & his/her closets. Bsmt boasts ovrsizd bdrm & roughed in Bed/Bth, poker rm, bar & winecellar! New Roof, 3 Furnace. So much to see! !